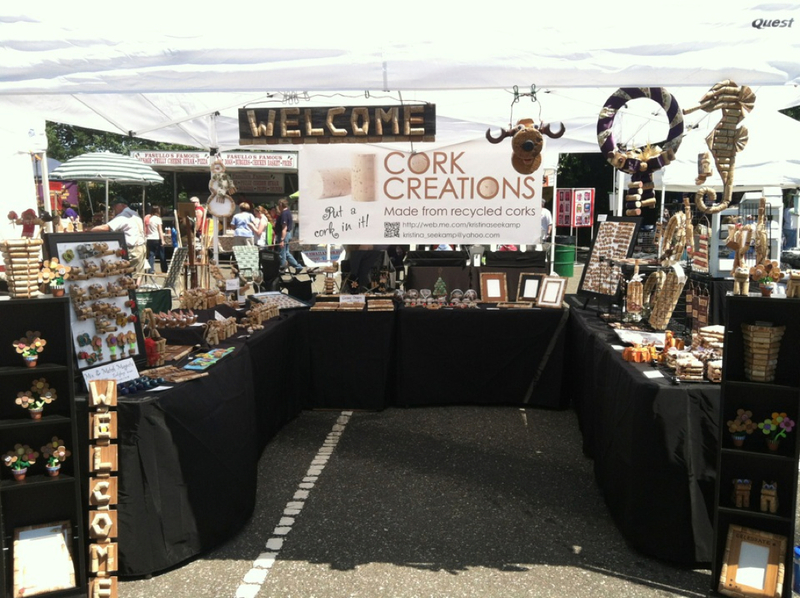 Thank you to all who visited my Cork Creations booth at the Eisenhower Park Craft & Gift Show this weekend. It was a beautiful weekend to spend in the park. The turnout was fabulous for the event and it was great speaking with everyone about my work. I really appreciate everyone's positive feedback. Nothing compares to seeing people's reactions to my work in person. That's really what it is all about! 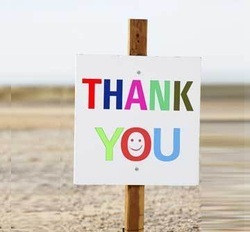 Thanks again and I hope everyone had a wonderful Labor Day weekend! 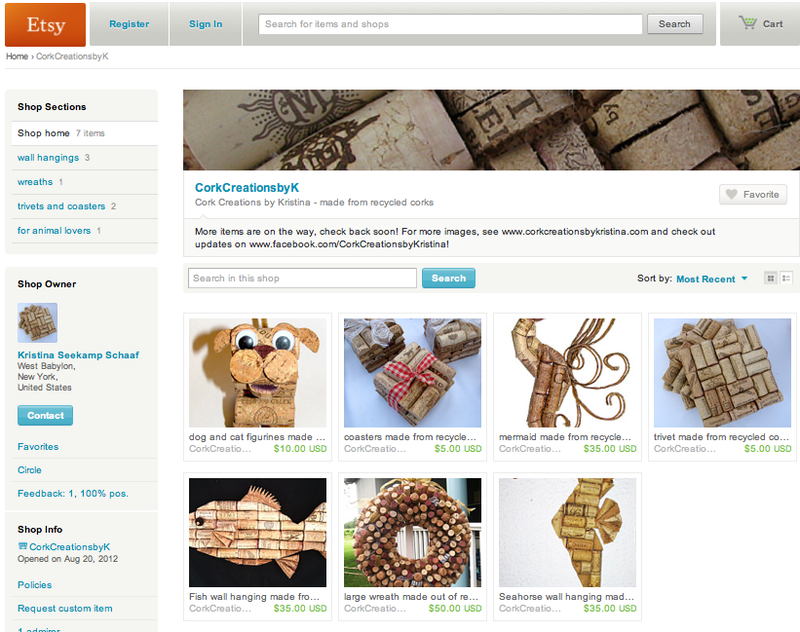 I am VERY excited to share that the Cork Creations by Kristina shop on Etsy is now open for business! Now you can browse and purchase from the comfort of home. Select items are already available for sale. 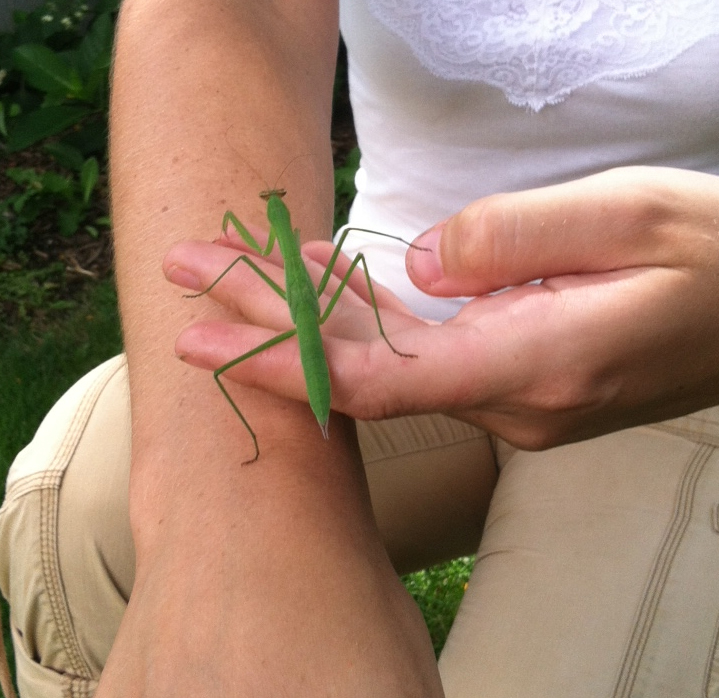 More will be added soon, so bookmark the shop and check back for more! 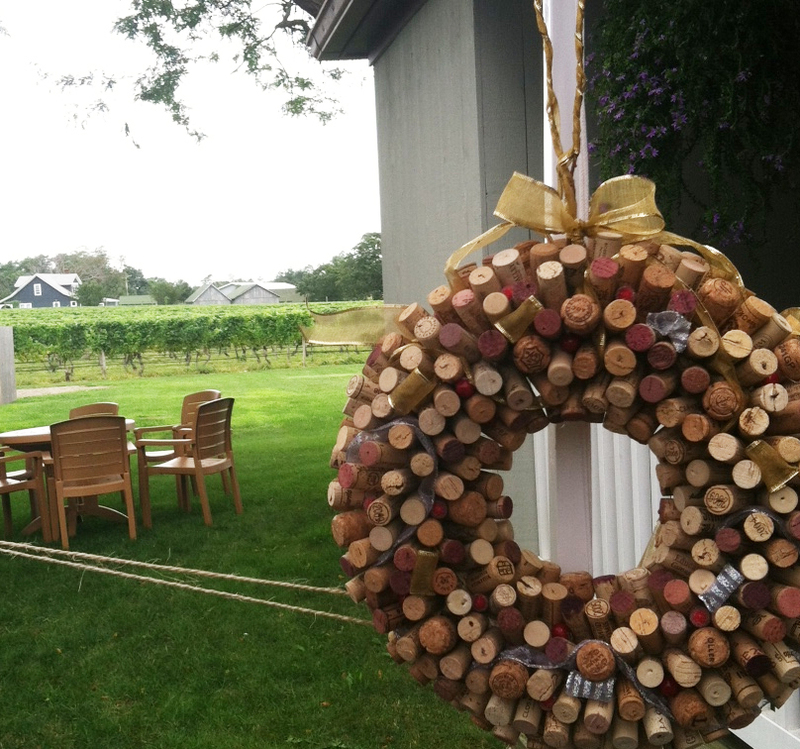 Just wanted to report that despite the not-so-promising weather reports, my booth at Palmer Vineyards in Riverhead on Saturday from 10 am - 6 pm was a great success! Thank you to Alicia at AK Entertainment for organizing this event and to Palmer Vineyards for hosting us. I couldn't have imagined a more perfect venue for selling my wares. I also had the opportunity to debut some of my newest creations, including the large wreath below. I am gearing up for the rapidly approaching fall and holiday fair season and am planning on selling my work at a number of venues across Nassau and Suffolk in Sept/Oct/Nov. My next fair is the Eisenhower Park Craft and Gift Show on Labor Day weekend (Sat. & Sun., Sept 1 & 2) in Eisenhower Park in East Meadow. As I receive confirmations for additional fairs, I will post them, so keep checking back. Enjoy and thanks again! 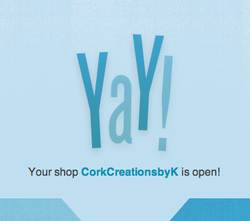 Thank you to all who visited my Cork Creations booth at the Kings Park Day festivities today! It was a beautiful day and it was a pleasure to be outside with all of my cork art.